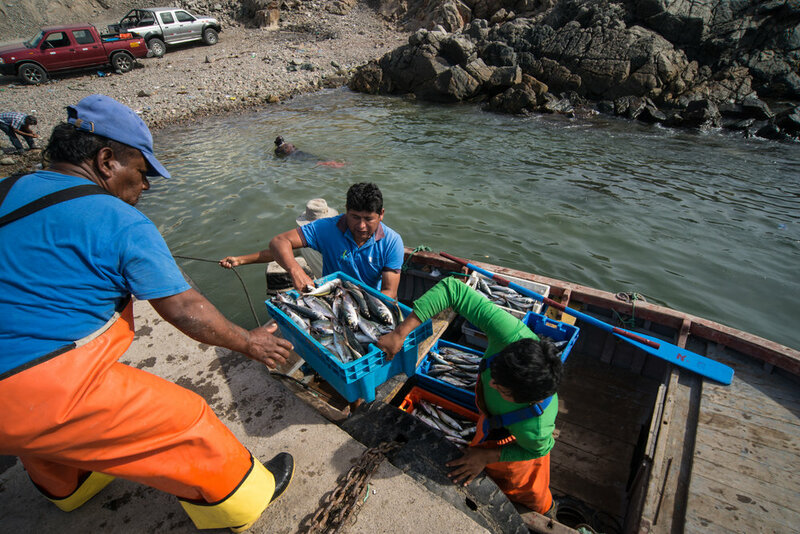 Small-scale fishing communities are among the 54 percent of people living below the poverty line in Peru, even though the sector is the country's second highest generator of foreign currency. The increasing demand for seafood coupled with low values received for their catches require fishers to increase their volume, thereby placing a burden on marine ecosystems. Overfishing has caused global fisheries to forego more than $80 billion a year and created dozens of endangered marine species. Sustainable Fishery Trade is the first social enterprise dedicated to just and sustainable trade for artisanal fisheries in Peru. The company sources directly from small fishing communities and sells to restaurants and retail shops. By eliminating intermediaries, Sustainable Fishery Trade helps ensure improved livelihoods for fishing households. The enterprise also strives to encourage positive conservation practices and minimize overfishing of marine species by offering training in sustainable harvesting to fishing communities. Sustainable Fishery Trade joined the NESsT portfolio in 2017. We are inspired to invest in SFT because of the company's use of technology and commitment to empowering fishing communities. Since its launch, SFT has grown and positioned its brand among high-end Peruvian restaurants. With NESsT support, and in order to scale, the enterprise is in the process of building a new processing center that will allow it to strengthen its logistics chain; diversify its client base; and equip fishers with toolkits to improve their working conditions while at sea. Each toolkit includes a solar-powered freezer, a scale, a steel table and smartphone to register catches. In addition to helping the enterprise improve its logistics, marketing, and processing capabilities, it is also providing support for technical training to fishing communities and working capital. NESsT capacity-building focuses on validating the SFT business model and preparing the enterprise to scale to markets in Brazil, Chile, and Colombia. By training the team in performance management, the enterprise will be able to better measure and manage their impact.